Due to experiences such as the Chernobyl disaster, the asbestos tragedy, various foodscandals and comparable experiences, in modern times technology-based innovationis often associated with risks that are highly uncertain. In other words, there aresuspicions about potential hazards to human health or the environment for which thereis no scientific proof, but which cannot be fully refuted either (Van Asselt & Vos 2006).Following scandals such as the BSE crisis where uncertain risks were initially ignored andgovernments and experts attempted to reassure the public with zero risk statements, thecurrent societal climate in which innovation takes place can be characterized as ‘posttrust’(Löfstedt 2005).Technology-based innovation poses significant challenges to regulators. In the earlystages of the innovation process, when technology could be controlled relatively easily,one does not know enough about harmful consequences to issue regulation, whilst at alater stage, by the time consequences are apparent, control by regulation is expensive anddrastic. This dilemma is referred to as the Collingridge dilemma of control of technology(Collingridge 1980). Furthermore, research into health and environmental impacts usuallylags behind: by the time first insights are available, the research is already outdatedbecause new generations of the technologies are already available (Harremoës et al. 2002)Regulators are foremost confronted with the obstacles to innovation in the contextof trade: the free circulation of innovative products may be blocked by states or tradeblocks for reasons of protection of human or environmental health. 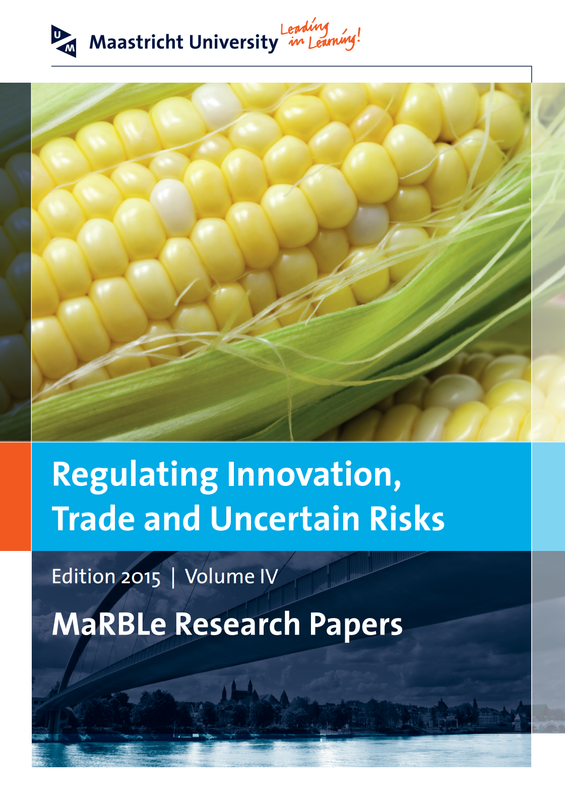 Controversiesabout innovation and uncertain risks therefore often have trade consequences. Manyof the complex cases that challenge the EU or the World Trade Organisation (WTO) intheir ambition for further market integration pertain to conflicts about innovation anduncertain risks (Prévost 2014). The question often is how to allow free trade while at thesame time ensuring that the protection of human and environmental health is duly takeninto consideration. Trade conflicts concerning genetically modified organisms (GMOs) andhormones in beef are iconic examples.